Sammy will play for Peshawar Zalmi for the fourth season in a row. Compassion is not the word that is seen often in these parts of the world. Even in sports that are meant to bridge gaps between people and communities that are otherwise miles apart, spread of hatred often prevails over love and mutual respect. Former Windies captain Darren Sammy recently found himself in the middle of such negative vibes but came out handling the case impressively. The fans have praised Sammy, who has given the Caribbeans two world titles in T20Is, for his act. 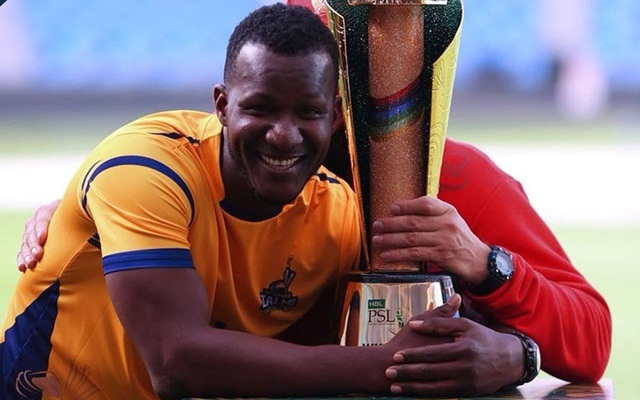 The 35-year-old Sammy is currently in Pakistan to attend the official kit-launching ceremony of Peshawar Zalmi, the side he leads in Pakistan Super League (PSL) and he has been clearly overwhelmed by the reception he received there. Sammy has been vocal over bringing cricket back to Pakistan, a country which has been avoided as a venue by teams since a horrendous attack took place against the Sri Lankan national team in Lahore in 2009. The Lankans had to airlifted from the middle of the ground and barring a few teams, most have refused to play on the Pakistani soil since then. In recent times, a few games towards the business end in the PSL have started returning to the country, including the upcoming one, and authorities have said the tournament will be completely held in Pakistan from next year onwards. Pakistan have played their home matches/series all these years at venues in the UAE. 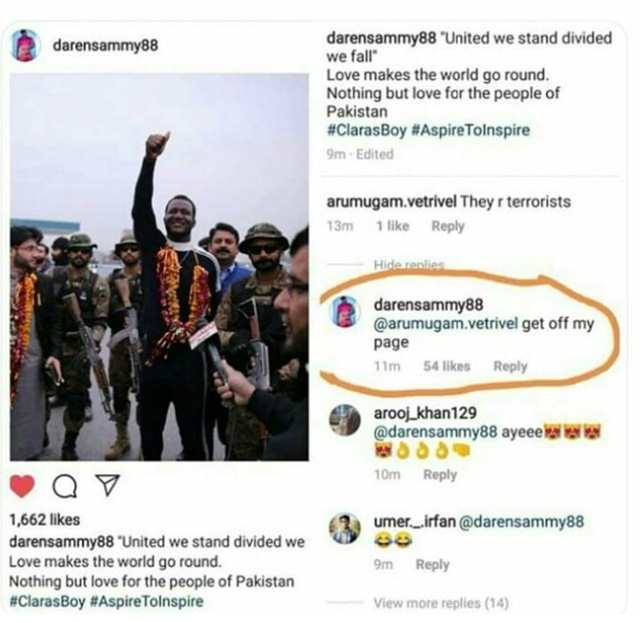 Sammy, who thanked Zalmi owner Javed Afridi for the love he received in Pakistan, said in a post on Instagram: “United we stand divided we fall”/Love makes the world go around/ Nothing but love for the people of Pakistan. At this, one of the fans referred to the people of Pakistan as “terrorists” and Sammy asked that fan to get off his Instagram page. In a tweet, Sammy also expressed his love and admiration for the Zalmi. He replied to a tweet by popular Pakistan actor Hamza Ali Abbasi and wrote.